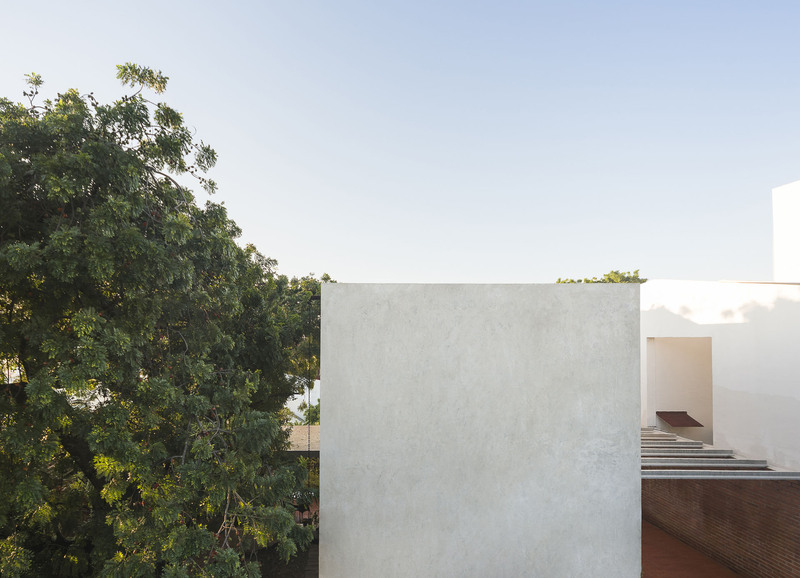 The program of this single-family dwelling is resolved in four staggered volumes each with a 5 x 5 meter footprint. 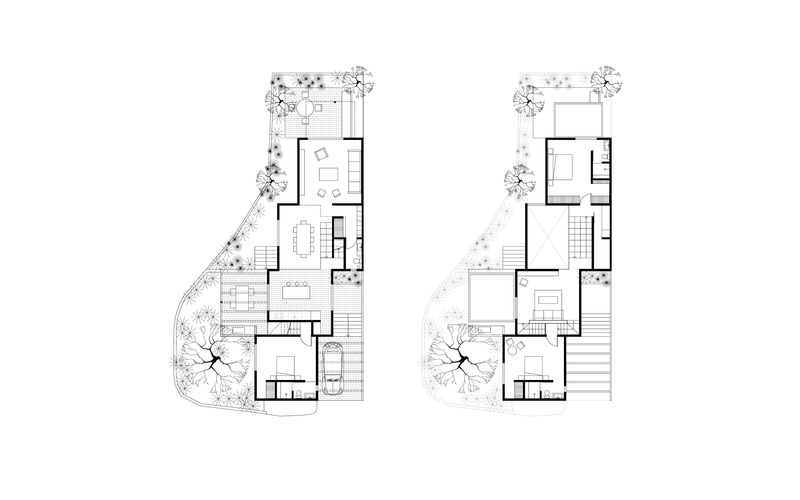 The staggering occurs both in plan and cross-section, and responds to different conditions. 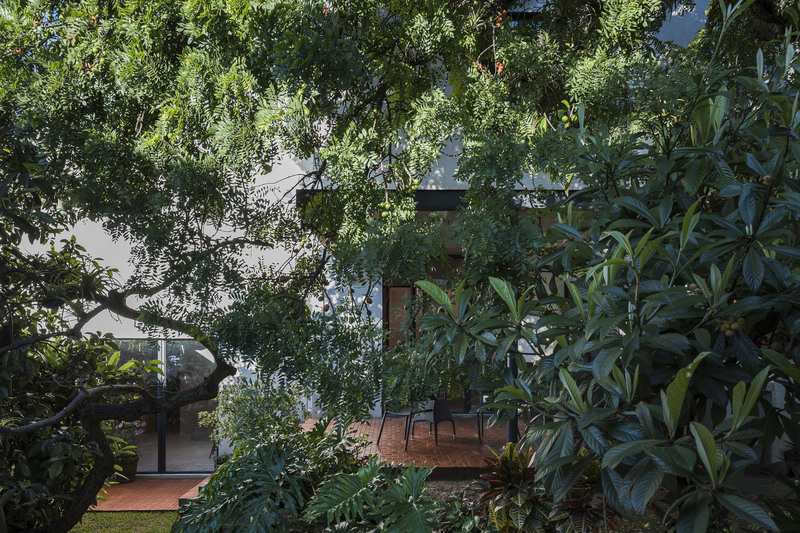 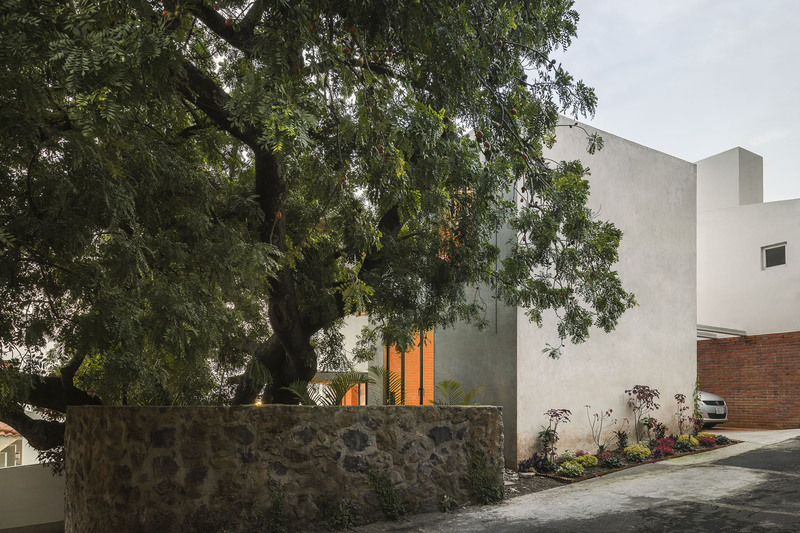 The staggered plan responds to the integration into the project of an existing large tree on the site, and the positioning of a garage. 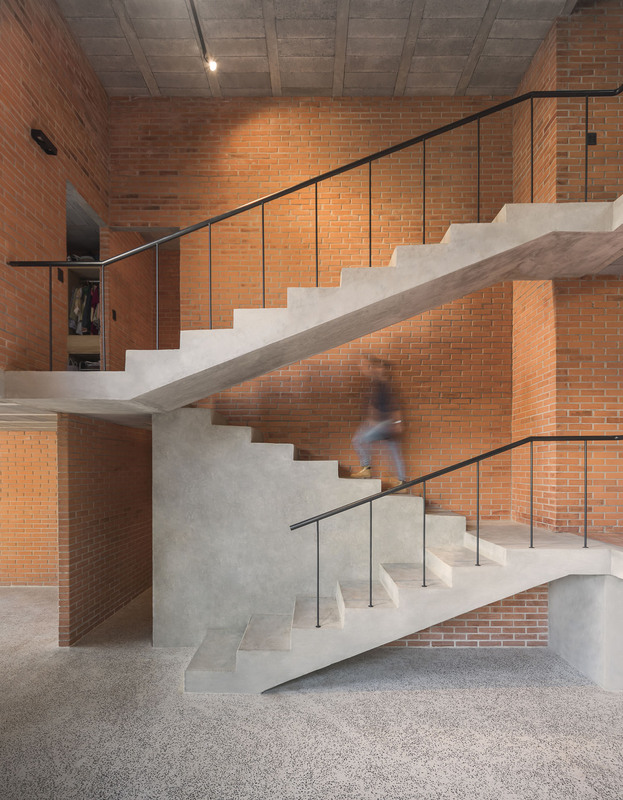 The staggered cross-section corresponds to the slope of the site, forming connections between the different spaces that are set off from each other vertically. 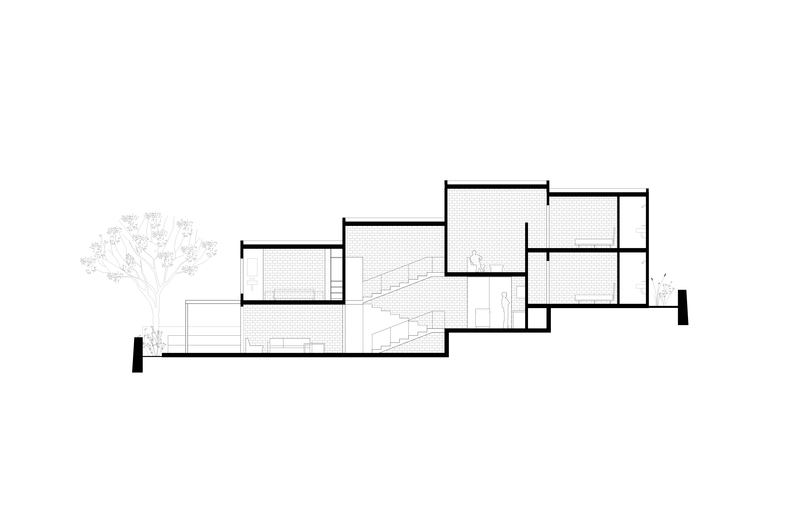 The double-height dining room functions as the home’s principal space, articulating the program by means of the central staircase that links all of the vertically staggered spaces. 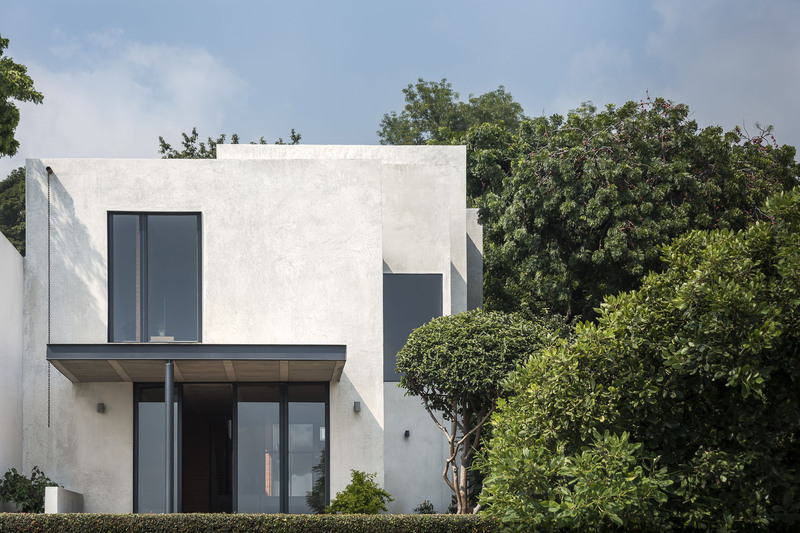 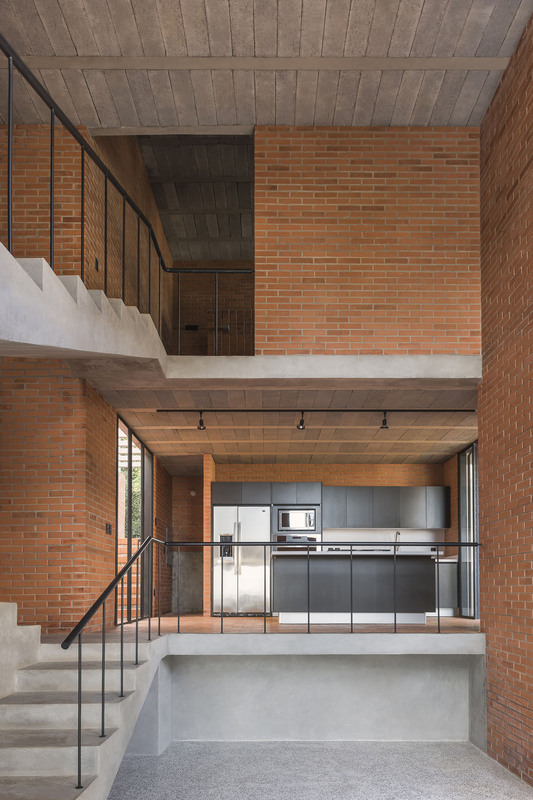 To build the house as economically as possible, the chosen construction system is based on hollow brick load-bearing walls and beam/block floor slabs. 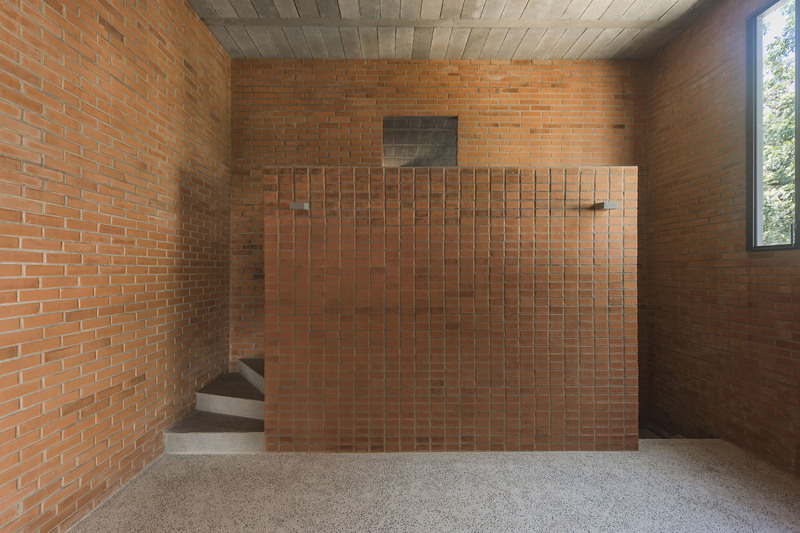 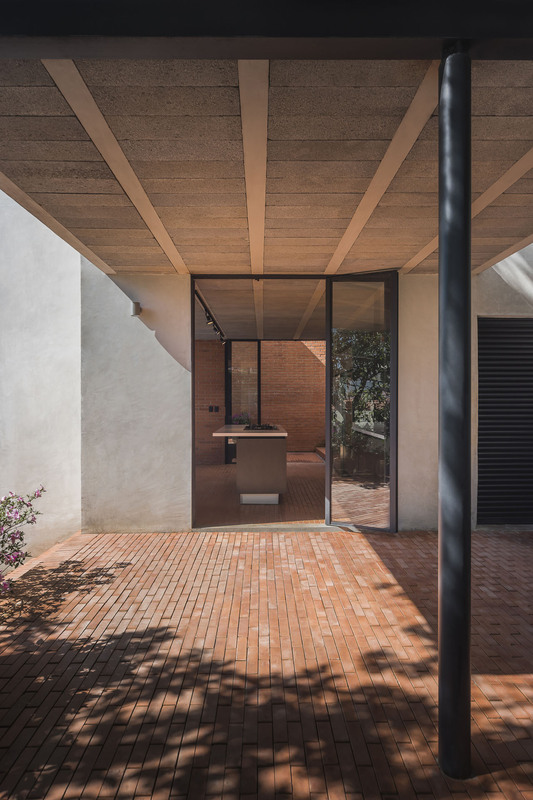 Exposed brick was used for the interior, while the exterior has a cement render, creating a monolithic appearance. 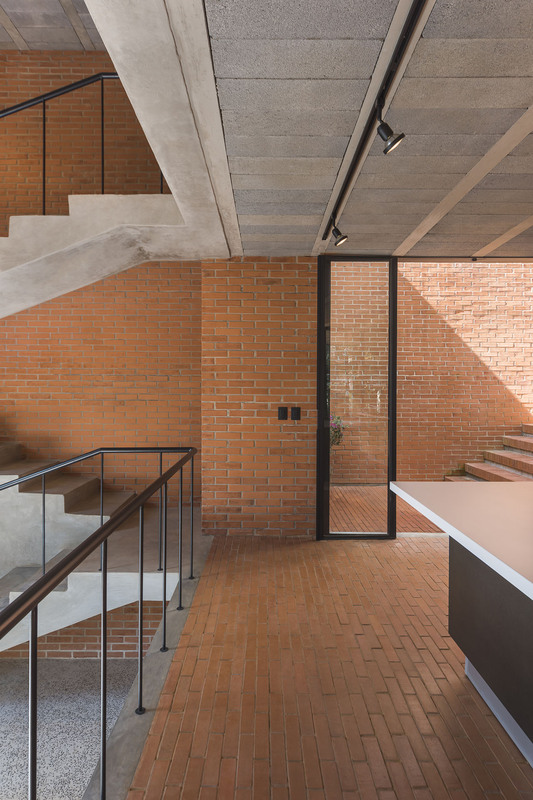 This unconventional use of exposed brick inverts the finishes: the brick that we usually find on external wall surfaces is employed here in the interior, creating a warmer feel to the rooms. 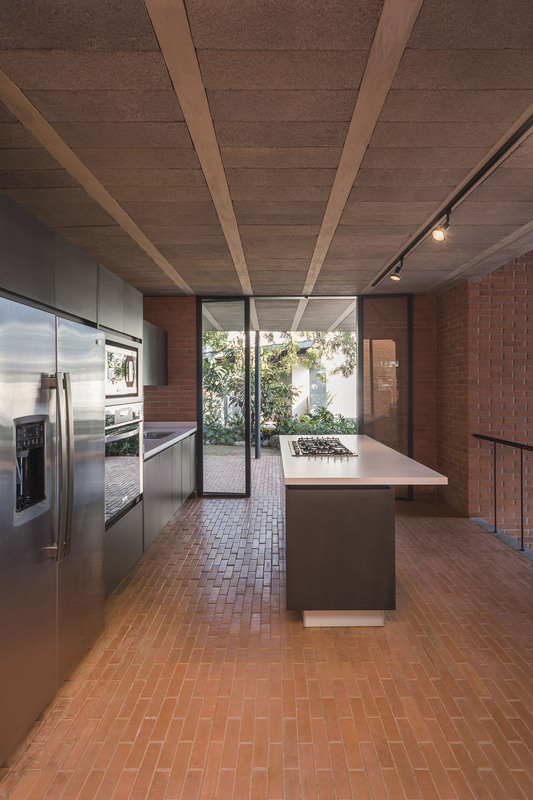 As a result, the interior spaces present a striking texture that is balanced with the simple terrazzo floors and exposed concrete beam ceilings. 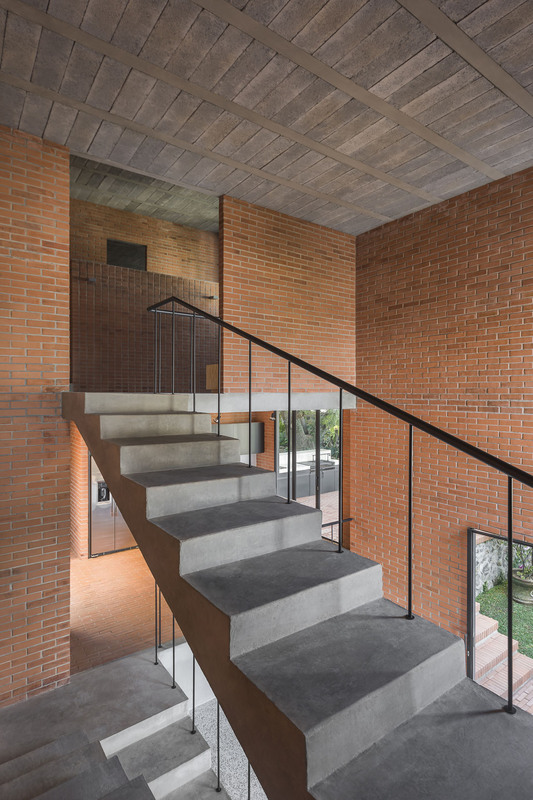 The external terraces complete the composition, functioning as immediate extensions of the interior spaces with the beam/block floor slabs continuing outside, while the exposed brick is repeated in the floors.